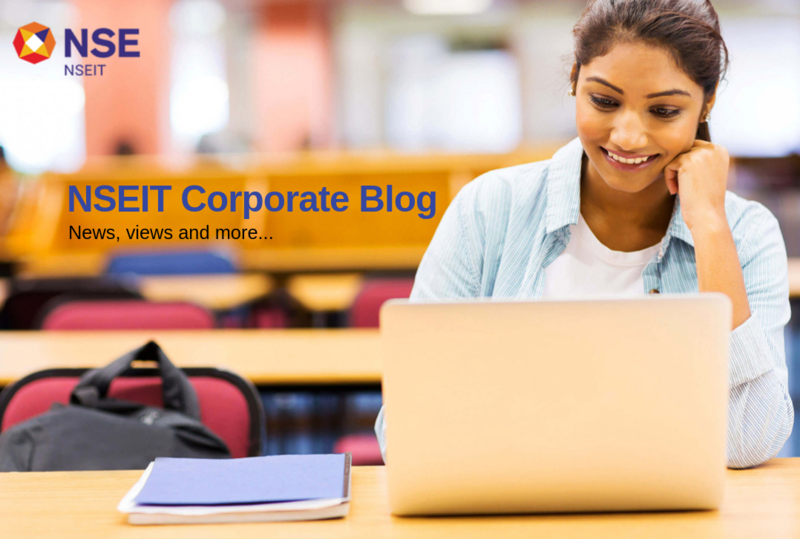 In our previous blog post, we saw how NSEIT has gone from strength to strength with every passing year since its inception in 1999. As a pioneer in end-to-end Online Examination Services (OES) in India, over the last 19 years, NSEIT has helped organisations across diverse industries embrace digital transformation by migrating from conventional pen-and-paper exams to online exams. Posted on Dec 7, 2018 by NSEIT AdminPosted in Online ExamsTagged National Stock Exchange, NSEIT, Online Exams India. NSEIT to take large Govt. and Educational Online Exams to the next level! In 1999, NSEIT transformed the way exams were conducted in India by being the first to propagate that exams should be conducted online for better security and transparency. Since then, things have never been the same again! Posted on Dec 3, 2018 by NSEIT AdminPosted in Online ExamsTagged Insurance Agents Exam, IRDAI, NSEIT, Online Exams India, Test In The Box. Recruiting new talent is an integral part of any organisation’s growth strategy. In order to ensure efficiency and transparency in the way Recruitment Exams are undertaken by candidates, many organisations are taking technology’s aid today. Take for example a leading Fortune 500 Petroleum, Natural Oil & Gas company that has been harnessing NSEIT’s Online Examinations expertise since 2015. Posted on Nov 1, 2018 Nov 1, 2018 by NSEIT AdminPosted in Online ExamsTagged India, NSEIT, Oil & Gas, Online Exams India, Power Industry. Powering NSE’s Campus Recruitments through Online Exams for 5 Years! For the past 5 years, NSEIT – India’s leading Online Examination Services (OES) company has been successfully conducting Online Campus Recruitment Tests for the National Stock Exchange (NSE) – India’s largest, and the world’s 4th largest Stock Exchange. Posted on Oct 17, 2018 by NSEIT AdminPosted in Online ExamsTagged Campus Recruitments, Engineering Colleges, National Stock Exchange, NSE Online Campus Recruitment Test, Online Exams India. The Rehabilitation Council of India (RCI) – a statutory body under the Ministry of Social Justice and Empowerment, recently roped in NSEIT to conduct their All India Online Aptitude Test (AIOAT) for their Diploma course admissions for the academic year 2018-19. Posted on Oct 15, 2018 by NSEIT AdminPosted in Online ExamsTagged All India Online Aptitude Test, NSEIT, Online Exams India, Rehabilitation Council of India. NSEIT launches ‘Test in the Box’ to enable Insurance Agents take exams anytime, anywhere. In a path-breaking move, NSEIT and the Insurance Institute of India (III) recently launched ‘Test In The Box’ (TBX) – India’s first tablet-based online examinations model for aspiring Insurance Agents to take Recruitment Certification Exams. Posted on Sep 25, 2018 Sep 25, 2018 by NSEIT AdminPosted in Online Exams, TBXTagged Insurance Agents Exam, Insurance Institute of India, IRDAI, Online Exams India, Tablet-based Online Exams, Test In The Box.